CRISPR-Cas9 technology and personalized medicine: What about Canada? CRISPR-Cas9 technology was accidentally discovered in the 1980s when scientists were researching how bacteria defend themselves against viral infection. While studying bacterial DNA called clustered regularly interspaced short palindromic repeats (CRISPR), they identified additional CRISPR-associated (Cas) protein molecules. Together, CRISPR and one of those protein molecules, termed Cas9, can locate and cut precise regions of bacterial DNA. By 2012, researchers understood that the technology could be modified and used more generally to edit the DNA of any plant or animal. In 2015, the American Association for the Advancement of Science chose CRISPR-Cas9 as science’s “Breakthrough of the Year”. Today, CRISPR-Cas9 is a powerful and precise gene-editing tool made of two molecules: a protein that cuts DNA (Cas9) and a custom-made length of RNA that works like a GPS for locating the exact spot that needs to be edited (CRISPR). Once inside the target cell nucleus, these two molecules begin editing the DNA. After the desired changes are made, they use a repair mechanism to stitch the new DNA into place. Cas9 never changes, but the CRISPR molecule must be tailored for each new target — a relatively easy process in the lab. However, it’s not perfect, and occasionally the wrong DNA is altered. CRISPR-Cas9 has the potential to treat serious human diseases, many of which are caused by a single “letter” mutation in the genetic code (A, C, T, or G) that could be corrected by precise editing. Some companies are taking notice of the technology. A case in point is CRISPR Therapeutics, which recently developed a treatment for sickle cell disease, a blood disorder that causes a decrease in oxygen transport in the body. The therapy targets a special gene called fetal hemoglobin that’s switched off a few months after birth. Treatment involves removing stem cells from the patient’s bone marrow and editing the gene to turn it back on using CRISPR-Cas9. These new stem cells are returned to the patient ready to produce normal red blood cells. In this case, the risk of error is eliminated because the new cells are screened for the correct edit before use. The breakthroughs shown by companies like CRISPR Therapeutics are evidence that personalized medicine has arrived. However, these discoveries will require government regulatory approval from the countries where the treatment is going to be used. In the US, the Food and Drug Administration (FDA) has developed new regulations allowing somatic (i.e., non-germ) cell editing and clinical trials to proceed. In Canada, companies need approval from Health Canada. But a 2004 law called the Assisted Human Reproduction Act (AHR Act) states that it’s a criminal offence “to alter the genome of a human cell, or in vitroembryo, that is capable of being transmitted to descendants”. The Actis so broadly written that Canadian scientists are prohibited from using the CRISPR-Cas9 technology on even somatic cells. Today, Canada is one of the few countries in the world where treating a disease with CRISPR-Cas9 is a crime. On the other hand, some countries provide little regulatory oversight for editing either germ or somatic cells. In China, a company often only needs to satisfy the requirements of the local hospital where the treatment is being performed. And, if germ-cell editing goes wrong, there is little recourse for the future generations affected. The AHR Act was introduced to regulate the use of reproductive technologies like in vitrofertilization and research related to cloning human embryos during the 1980s and 1990s. Today, we live in a time when medical science, and its role in Canadian society, is rapidly changing. CRISPR-Cas9 is a powerful tool, and there are aspects of the technology that aren’t well understood and could potentially put patients at risk if we move ahead too quickly. But the potential benefits are significant. 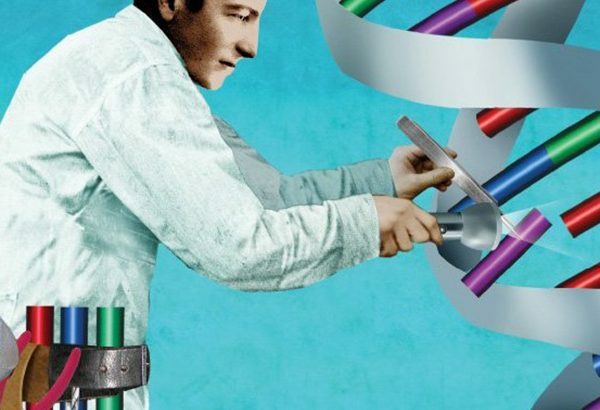 Updated legislation that acknowledges both the risks and current realities of genomic engineering would relieve the current obstacles and support a path toward the introduction of safe new therapies. The best advocates for change are Canadian scientists with specialized expertise in the technology. Recently, the Centre of Genomics and Policy at McGill University, along with Canada’s Stem Cell Network and Health Canada representatives, convened to initiate a dialogue. Despite these attempts, Health Canada’s stance remains unchanged. Unless the Government of Canada modernizes the law, personalized medicine will not be coming to a clinic near you any time soon. Banner image: courtesy of Science Literacy Project/Genetic Literacy Project, Pennsylvania; in-text image: Wikimedia commons. Guest Authors, Health, Medicine, and Veterinary Science, Policy and Politics, Reviews and Commentary Assisted Human Reproduction Act, Centre of Genomics and Policy, CRISPR-Cas9, DNA, germ-cell editing, Health Canada, Stem Cell Network, stem cell research. permalink.